PHOENIX – Arizona environmental officials on Wednesday warned visitors and residents to only eat limited amounts of certain kinds of fish contaminated with mercury found in three fishing areas in the state, adding to a growing list of advisories against fish consumption in lakes and streams. Yellow bass in Canyon Lake in Maricopa County and largemouth bass in Becker Lake in Apache County and Black Canyon Lake in Navajo County were marked for limited consumption, according to the Arizona Department of Environmental Quality. Mercury has now been identified in different species of fish across 17 bodies of water in ten Arizona counties. ADEQ and the Arizona Department of Game and Fish, besides issuing advisories, have developed a new, online mapping system to alert people to troublesome areas and showcase areas where the fishing is fine. The two departments have created a geographic information systems map showing three levels of fish consumption categories: red, orange and green. Every location identifies specifics such as a body of water, the species of fish people can eat or are advised not to eat and if a specific pollutant has been discovered in the fish tissue. Orange squares mark where consumption should be limited for a species of fish. The limit, based on Environmental Protection Agency standards, says adults should limit consumption to 2.5 ounces of fish per week and children 12-years-old and younger should consume no more than two ounces per month. Green areas on the map show where unlimited consumption of a certain fish species is encouraged. 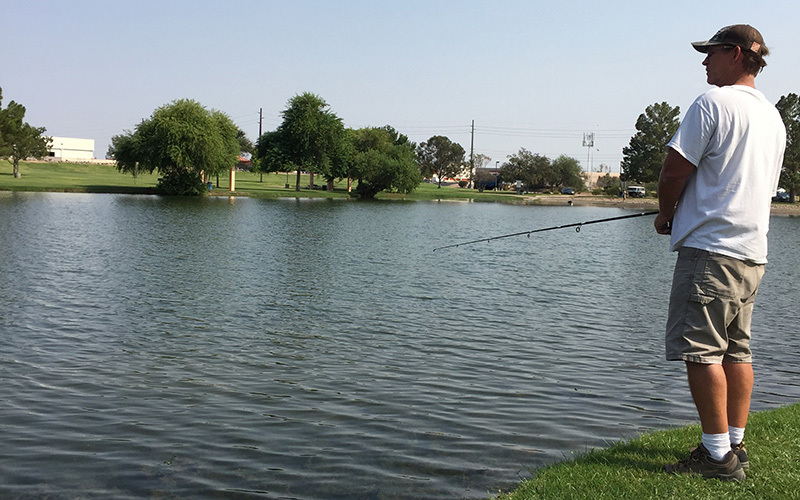 Largemouth bass at Tempe Town Lake and Scottsdale’s Eldorado Park Lake are among those popular fishing spots designated as green, according to the map. “While we want to warn people of health risks, we can now also share that you can catch and eat until your heart’s content,” said Caroline Oppleman, spokeswoman for ADEQ. “We wanted to create a tool where people could go on and check where to fish before taking off for a fishing trip. It’s important that locals and visitors have important health information readily available for them,” she said. New signs have been added by the fishing areas, clearly identifying through pictures which species fall into the red, orange or green categories. Providing pictures of the fish allows even novice fishermen and women the chance to identify what they’ve caught. Oppleman said the new signs were created to make it easier to identify whether someone should eat fish from the waters. “We now have an actual picture of the fish stuck on the sign so you don’t even have to be able to even read or speak a certain language, you just have to match what you’ve caught to the picture,” Oppleman said. The Arizona agencies will continue to collaborate on advisories as tests on fish tissue continue. 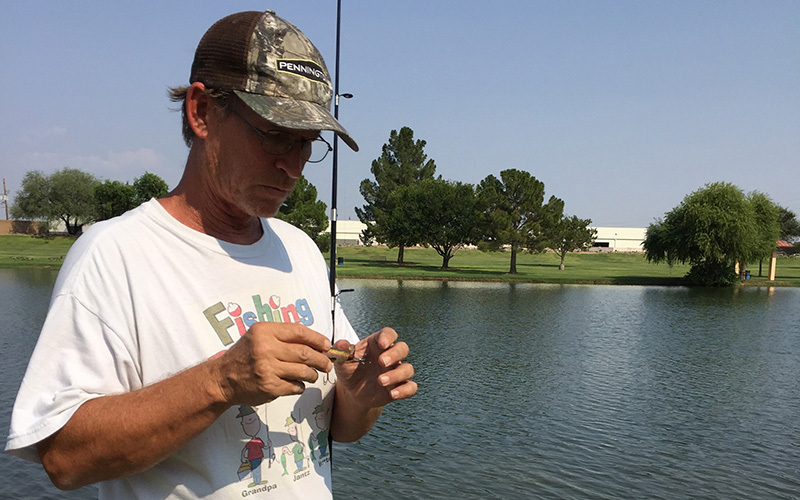 Every year, a research team samples fish species from 15 to 20 bodies of water in Arizona. The filet portion of the fish, or the piece that is actually consumed, is then analyzed for pollutants. Then, new advisory warnings are released that place fish in the red, orange or green category. Correction: This story has been updated. The advisory for fish consumption in three areas of Arizona can be eaten but in limited amounts, according to state officials.